November is Lung Cancer Awareness Month. Since 1990, research and advocacy organizations wanting to increase knowledge about lung cancer partner to teach people about the deadly effects of the disease. Lung cancer is the leading cause of cancer deaths in both men and women, making it a very prevalent and dangerous illness to have. If caught early though, it is very treatable. Lung Cancer Awareness Month makes this possible by teaching people about the early signs and symptoms, allowing people to catch their cancer early and treat it as soon as possible. Lung cancer is a very deadly cancer and makes up 25 percent of all cancer deaths. There are 541,000 Americans living today that have been diagnosed with lung cancer at some point in their lives. With so many people being diagnosed with lung cancer people need to learn as much about the disease as they can. It is also the most common worldwide cancer- there were 1.69 million new cases in 2015 alone. With so many new cases of lung cancer, it is a very expensive cancer to treat costing $13.4 billion dollars out of the total $147.5 billion dollars it costs to treat all cancers combined. Many people link lung cancer to smoking but it can be caused by many different substances. A particularly hazardous substance that causes lung cancer is asbestos. Asbestos causes lung cancer even in the absence of smoking. While people who smoke have a 10 fold increase in lung cancer compared to non-smokers, people who smoke and who were exposed to asbestos have at least a 50 fold increased chance of getting lung cancer. This is because the carcinogens in asbestos and in cigarette smoke combine to cause lethal damage in the lung. Since asbestos is a carcinogen by itself, lung cancer victims who smoked can recover money damages if they were exposed to asbestos. 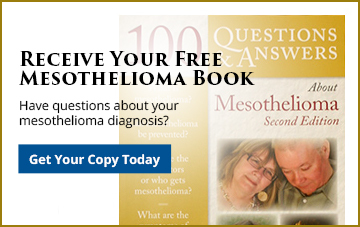 If you have been exposed to asbestos and now have lung cancer or even mesothelioma, you may be entitled to a claim. Call 412-471-3980 or fill out our contact form to speak to an attorney and learn your options. If you would like to donate to lung cancer research click here to be taken to the International Association for the Study of Lung Cancer’s donate page.